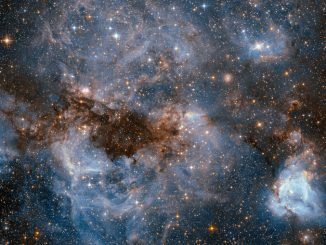 This NASA/ESA Hubble Space Telescope image shows a stellar nursery known as N159 — a maelstrom of glowing gas and dark dust within one of the Milky Way’s satellite galaxies, the Large Magellanic Cloud (LMC). 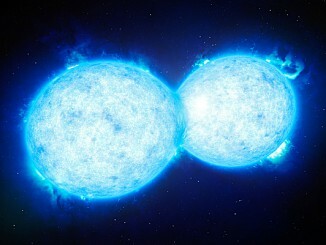 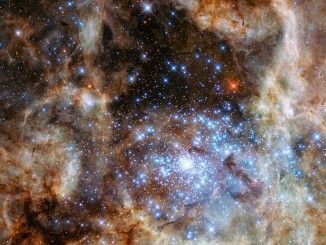 N159 is located over 160,000 light-years away. 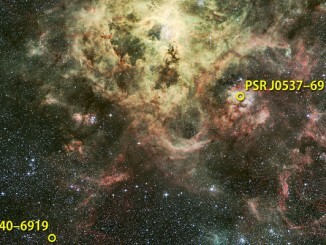 It resides just south of the Tarantula Nebula, another massive star-forming complex within the LMC.